Welcome to Bed and Breakfast Villa Maddalena Bardolino. 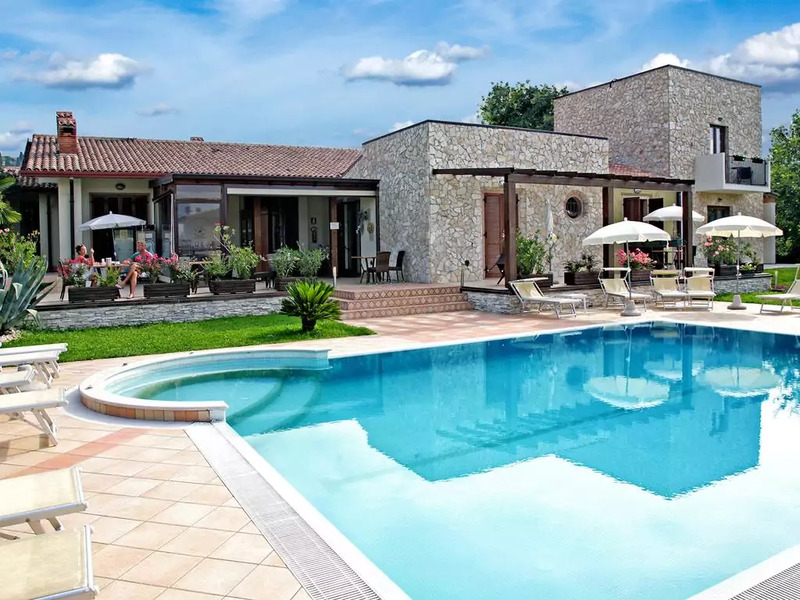 Offering an outdoor pool and free rental bike, Villa Maddalena is located in Bardolino, 1 km from the centre. Free WiFi access is available throughout. Each room here will provide you with a satellite TV, air conditioning and a safe. Featuring a shower, the private bathroom also comes with a hairdryer and free toiletries. A sweet and savoury breakfast is offered every morning. It includes hot drinks, croissants, cheese and cold meats. At Villa Maddalena you will find a garden and a terrace. Other facilities offered at the property include a vending machine. Lake Garda is a 5-minute drive from the property. The amusement park Gardaland is 13 km away. (Bed and Breakfast Villa Maddalena Bardolino hotels).